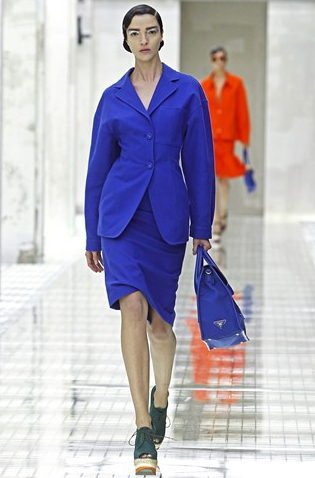 Intense blues make a serious splash for spring/summer 2011. Rippling silks and slippery satins, drenched in oceanic hues, flowed throughout the collections. Bring a subtlety to bold blue by partnering it with black. 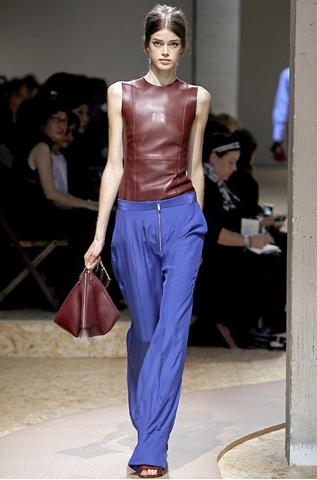 A glossy black belt or bag, or silky black blouse will soften the impact of powerful cobalt. A touch of bright coral makes a gorgeous accent shade. 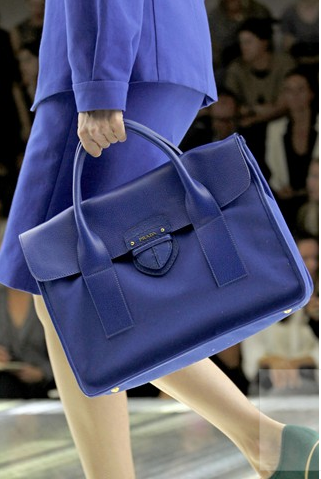 Lively yet ladylike, blue is the go-to shade for carrying vibrant colour into the workplace. 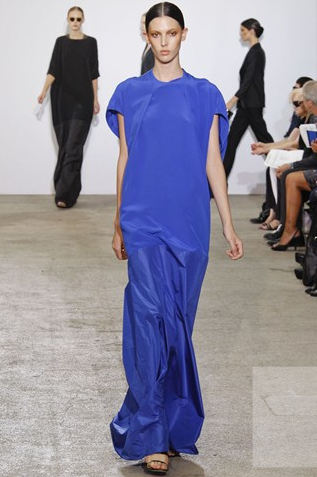 it's lovely how you showcased these blue pieces off the runway. now that i think about it i don't think i own anything true blue.. i'll have to find something now! You made me wanna buy cobalt blue clothes ! I love the pics you displayed...especially the leopard dress, wow =) Very nice blog ! What a gorgeous colour!! LOVE those shoes too btw. it'a very beautiful colour!! looks perfect!! oh my, what delightful colors! :) my favorites are the 6th and 7th photos. (: It's weird because these colors make me feel totally the opposite of blue. Hahah, anyways though.. thanks for the lovely comment, and yay for the new follow! (: I am truly grateful. Fab blog, and I can't wait for your next post!